Max. 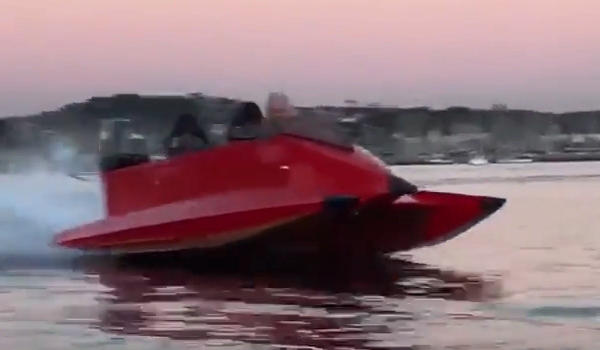 Power: 75 hp / 300 lbs. 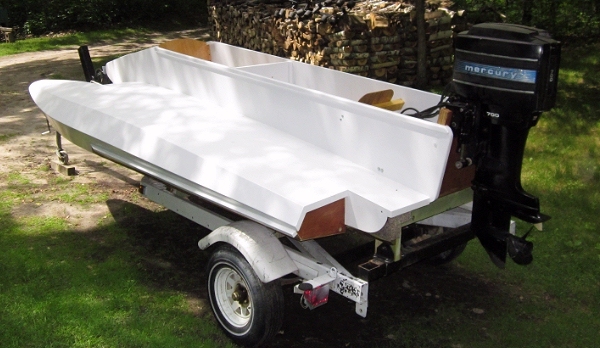 The Laker 14 is a recreational tunnel boat intended for 3-cylinder outboard motors, but should also work well with larger 2-cylinder and smaller 4-cylinder motors. For my hull, I acquired a 1978, 70hp Mercury. Initial testing was disappointing due to poor propeller choice. But further testing has zeroed in on the right prop, and I am now approaching the 60 mph mark. As of late October, 2014, I am still hoping to get in one or two more runs. For my boat I chose to build a narrow, racing-style cockpit -- because I am a racer, and I couldn't resist. However, the plans include some drawings of a wider cockpit version suitable for side-by-side seating for two. I built the original Dillon Laker 14 with white pine stringers and 5mm (3/16") exterior-grade plywood. (NOTE: Make sure you are buying waterproof plywood, not just "weather reistant") I recommend 5mm (marine or exterior) plywood for the entire hull, including a second layer on the sponson pads. 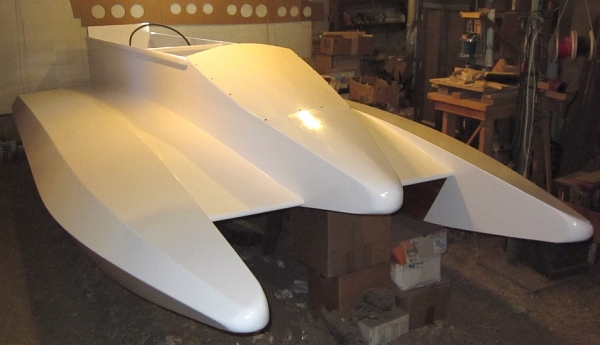 You may want to use 3mm plywood for the front cowling deck for easy bending. Many will state that marine plywood is the only choice. But though I've seen failures in exterior plywood, I've seen virtually identical failures in marine. Exterior grade plywood requires good structure (stringers and bulkheads) behind it, but I would stipulate that marine plywood calls for exactly the same. That said, you can hardly go wrong using okoume marine plywood. But you can save several hundred dollars by using locally available, exterior grades. It's your choice. 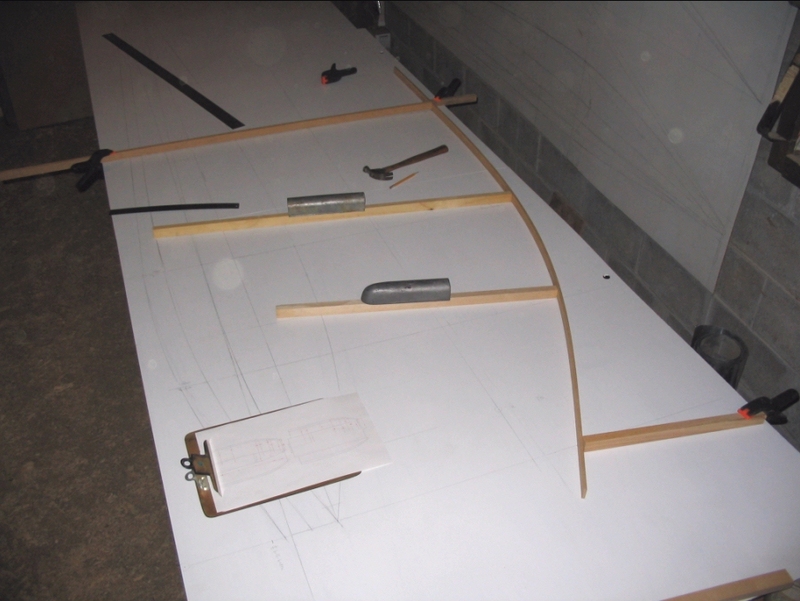 The plans package, available via direct download or by postal mail, includes twenty-one measured drawings; a scantling list; and some notes on wood, hardware and other materials needed to complete your boat and set it up for recreational boating or sanctioned racing. Also, I provide extensive online construction notes, including dozens of photos, which will guide you through the entire building process. And, I will be just an email away if you have questions. The plans package is $60 US via direct download; or $70 printed on 8.5" x 14" sheets and sent via postal mail. You can pay online through Paypal (you do not need a Paypal account), or you may send a check or money order.